Sleeping pill addiction is a serious problem that affects many people around the world. A lot of people take sleeping pills to help them fall asleep at night, without realizing that certain sleeping medications can become addictive. If a person becomes addicted to prescription sleeping pills or over-the-counter sleeping pills, then it can become a serious health risk. Here is a closer look at sleeping pills and the risks that they bring with them. Understanding key information about sleeping pills can help you to know how to prevent becoming addicted to them, and how to get effective treatment if you do become addicted. What are the Types of Sleeping pills? There are many types of medications for sleep that are used around the world. The purpose of these medications is to assist people with the process of falling asleep. People are supposed to be able to fall asleep naturally. However, not everyone can do this, due to a variety of reasons. There are two basic categories of sleeping medications, over-the-counter sleep aids, and prescription sleep aids. Over-the-counter sleeping medications are considered to be safer and to pose much less of a risk of creating an addiction. This is why people are not required to possess a prescription from a doctor to obtain them. Many OTC sleeping pills rely on antihistamines and the pain reliever, Acetaminophen, to create their drowsy effects. Acetaminophen is found in many popular pain-relieving drugs, such as Tylenol PM and Aspirin-Free Anacin PM. If you are looking for an over-the-counter sleeping medication list, you can get one at any pharmacy. Prescription sleep medications, on the other hand, use different ingredients and can be a lot more powerful. Many prescription sleep medications are sedative-hypnotics and work by manipulating receptors in the brain to slow down the nervous system. Some sedative-hypnotic sleeping pills are benzodiazepines, and some are not. Benzodiazepine sleep medicines are considered to be much more risky for creating both psychological and physical dependencies than other types sleep medications. This is especially true because the brain receptors can become less sensitive to these sleep aids in just a few weeks. Then, a higher dose may be needed to get the same effect. Further, intense withdrawal symptoms and insomnia can result when the medications are stopped. There are some sedative-hypnotics which work in the same area of the brain, but which are not benzodiazepines. These sleep aids are frequently used in place of benzodiazepines because they are less likely to create dependencies. However, it is still possible for them to develop addictions, and that is why they are classified as controlled substances. Ambien, Lunesta, and Sonata are all non-benzodiazepine prescription sleep medications. There are also barbiturate-based sleep meds, such as Amytal and opioid-based ones such as Tramadol. If you are asking yourself, “What is the best prescription sleep medicine,” then the answer is most likely non-benzodiazepine sleep aids which are designed for long-term use with a meager chance of creating addiction. Ambien, Lunesta, and Sonata would fall in this category. People who use certain types of sleeping pills or sleeping tablets frequently can develop an addiction. These addictions can become extremely dangerous and problematic, and they can be a serious threat to a person’s health. Here are some of the most common signs of sleeping pill abuse. If you find yourself craving sleeping pills, even when it is not the time for bed, then this is a definite sign you may have become addicted to sleeping pills. It is not normal for the body to crave a foreign chemical. So, if you find yourself craving a specific sleeping pill, then it could be a sign your body has become used to it, and now wants to have this chemical regularly. Memory loss can be another sleeping pill addiction symptom. This symptom typically occurs if a person is abusing sleeping pills and using them more than he or she should. Memory loss also occurs when other substances are being abused, such as alcohol. If you are experiencing sleeping-pill caused memory loss, then it should be a wakeup call to you that you may have a sleeping pill addiction. Slurred speech is another one of the vital sleeping pill use signs. This is another symptom that can occur with alcohol use, like memory loss. So, if you notice that you have slurred speech, or that someone around you is having slurred speech, then it could be a sign that sleeping pills are being used. This means that the person is walking funny, or cannot walk in a straight line. If a person has recently used sleeping pills, then there is a good chance that their gait may be a little unsteady. If he or she has taken a larger dose of sleeping pills, then the gait will tend to be significantly more unsteady. This is similar to an unsteady gait, and it mostly means that the person’s movements are not normal, and they may look odd and not smooth. For example, the person may try to move from sitting in a chair to standing up and may wobble while he or she is performing this motion. It is much harder for people who are using sleeping pills to focus. This is because the chemicals in the sleeping pills affect the brain and make concentration harder. So, if you notice that someone around you just cannot focus on the present moment and the environment around you, then he or she could be on sleeping pills. People who are abusing sleeping pills frequently run out of their prescriptions. For this reason, they may try to shop around to find as many doctors as possible who will prescribe them so that they can get more sleeping pills. This drug-seeking behavior is typical for other types of drugs too, such as opioids. If you recognize these symptoms in yourself or in someone you know, then you may have treatment for sleeping pill addiction may be advised. If you would like to get help for a sleeping pill addiction for yourself or for someone you know, call (888)-459-5511 to speak with one of our knowledgeable representatives today. Abusing sleeping pills can have both long-term and short-term side effects. Some of the sleeping pill side effects are extremely serious. Here’s a closer look at both the long term in the short-term side effects of sleeping pills. Essentially, the longer that you use sleeping pills and the more pills that you take, the greater your chances are for experiencing uncomfortable side effects from sleeping pills. However, it is possible to start experiencing side effects after only taking sleeping pills for a short while. Whether or not you experience side effects and what your sleeping pill risks are also depends mostly on what type of sleeping pills you take. The over-the-counter ones are less likely to create severe side effects such as vomiting or addiction. However, even over-the-counter sleeping pills should only be taken with caution. It may even be wise to consult your doctor if you are thinking about taking over-the-counter sleeping medication. Your doctor will be able to tell you whether or not this would be a good decision for you. After all, if it is not necessary for you to take sleeping medication, then it could be a mistake to risk experience side effects by taking it. Many people who realize that they have a problem with sleeping pills, get treatment and go into detox. The treatment process is often beneficial when dealing with a sleeping pill dependency. However, people who go through this process often experience withdrawal symptoms and have to stay in treatment for a period. Here are some of the most significant withdrawal symptoms for sleeping pill abuse, as well as key information about the treatment timeline and detox. The severity and length of sleeping pill withdrawal symptoms depend heavily on some factors including the type of sleeping pill that the person was using, the length of time that he or she was using the sleeping pill, and several other things. Here is a timeline of the withdrawal symptoms during sleeping pill detox. Week 1 – This is when the symptoms of sleeping pill withdrawal first appear. Typically, they will start to show up roughly 24 hours following the last dose. Many symptoms will usually appear during this time. If you were taking a more dominant sleeping pill, such as a prescription benzodiazepine hypnotic sedative, then these symptoms will most likely be a lot more intense. The symptoms which commonly occur about a day after the last dose of your sleeping medication include vomiting, mood changes, anxiety, confusion, convulsions, and memory loss. If you have a severe sleeping pill addiction, then it is best to go through detox under the care of doctors and nurses at a treatment center, if possible. This is because withdrawal symptoms can be severe at times. Week 2 – During the second week of sleeping aids detox, the withdrawal symptoms frequently escalate and reach their worst point. Symptoms that may occur during this phase of detox are extreme sweats, panic attacks, depression, increased heart rate and blood pressure, tremors, intense cravings for sleeping pills, and bad insomnia. These symptoms are all caused by the body responding to not having the sleeping pill anymore. This period is the most intense for the detox process regarding withdrawal symptoms. It is essential to be able to access medical treatment during this time if the withdrawal symptoms are extreme. Week 3 – During week 3, withdrawal symptoms start to disappear. Many of the physical symptoms will completely go away during this time. As an example, the person may no longer experience extreme sweating or high blood pressure. However, the psychological symptoms of withdrawal can still linger for weeks or even months after the person stops taking sleeping pills and detoxes fully. These psychological symptoms include cravings and depression. But, these too, tend to fade and disappear eventually. So, if you were wondering how long does sleeping pill withdrawal last, the answer is that most of the physical symptoms of withdrawal will last for only around 21 days. You may need to take time off of work and enter a rehabilitation clinic to get through this process safely. After you get through the detox period and pass through the withdrawal symptoms, then you will most likely feel much, much better. As time passes, the cravings for sleeping pills should subside. Some people attempt to go through sleeping pill detox by themselves at home. While it is possible to do it by yourself, it is not advised because medical complications can arise during the withdrawal period. This is especially true if you have been using prescription sleep aids, or have been taking sleep medication for a long period. Luckily, there are many excellent options for sleeping pill addiction rehab and treatment facilities around the U.S. There are two main types of treatment options inpatient treatment and outpatient treatment. During inpatient treatment, patients stay at the facility night and day for the duration of treatment. There are many benefits of inpatient sleeping pills rehab. For example, it is a highly scheduled and structured environment. Also, there is staff on hand 24/7 to help if there are any severe withdrawal reactions. Further, because patients are in a controlled environment, it can significantly reduce the chances of a relapse. With outpatient treatment, patients typically do not sleep at the treatment center, but instead, come during the daytime for treatment for a specific amount of days. Like inpatient treatment, outpatient treatment has some excellent benefits. For example, outpatient treatment, in general, is much cheaper than inpatient treatment. Also, outpatient treatment is more flexible. So, people can often continue to work or stay up with their familial obligations and responsibilities while they receive outpatient treatment. Finally, outpatient therapy can help to set up patients for longer-term care as they get used to coming into a facility for treatment. Here is a list of some of the best places to get sleeping pills treatment if you have been using sleeping pills dangerously, and have become addicted to them. A professional and high-quality staff is essential for rehab centers to have. This is because they will be the ones who take care of you while you are going through the detox and withdrawal process. The detox and withdrawal period can be very intense from both a physical and a psychological standpoint. So, it is crucial for rehab centers to have highly trained and qualified staff members who can assist you through this process. This includes doctors, nurses, and addiction counselors. If you want to get an understanding of the quality of the staff, it is wise to read online reviews from former patients. 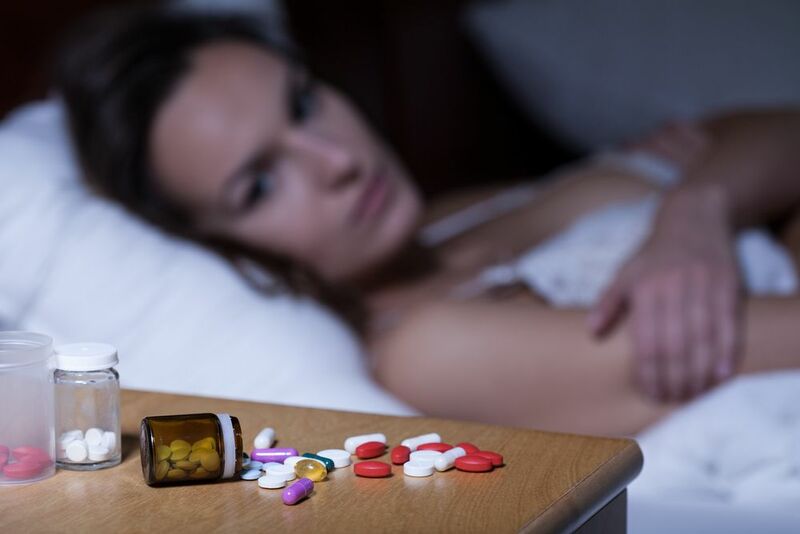 If you decide to go through with sleeping pill addiction treatment, then you will most likely be spending a significant amount of time at the facility. Of course, you will spend more time there if you go with an inpatient program. However, even if you go with an outpatient program, you will still spend a lot of time there. So, since you are going to have to be there for an extended period, and because you are going to be uncomfortable for much of this time, it is essential that the facility itself is very clean and physically attractive. If it is, then it can help to make the overall experience better. It will still be difficult, even in the most beautiful treatment center, but the more attractive and clean the facility is, the better. When you are selecting a treatment center to go to, it is essential that you prioritize the centers that have excellent track records of success. Rehab centers that have a lot of experience healing people with sleeping pill addictions are more likely to be able to do the same thing for you. Again, you can read online reviews about recovery rates for the center to find out about its treatment success. You can also call the place and ask them what their recovery rates are. The higher that a treatment center’s recovery rates are, the better. The reason why this is important is that often, sleeping pill addiction goes hand-in-hand with other addictions. For example, people who have sleeping pill addictions also frequently have alcohol addiction, cocaine addiction, heroin addiction, etc. So, if you have another obsession in addition to a sleeping pill addiction, then it can be extremely beneficial to seek out a treatment center that can treat multiple dependencies at once. Even if you do not have various habits, it can still be wise to select a treatment center that treats multiple illnesses at once because it can mean that the staff has more knowledge about treating addiction in general. The cost of going to a sleeping pill addiction treatment center can be very expensive. So, when you are selecting one, you should make sure that the treatment center works with many different insurers, and that your particular policy covers the treatment that they are offering. If not, then you could be stuck fitting the bill for your treatment, which could cost thousands of dollars. To find out whether or not the facility accepts your insurance, you can simply call the rehab clinic and ask them if they take your insurance. If they don’t then you may have to continue looking for another rehab facility which will take your insurance. Addiction recovery is hard enough without having to deal with enormous costs by yourself. You can also call your insurance company and get a recommendation from them about which facility to go to. Sleeping pill addiction is something that can be very serious and cause a lot of major health problems. This is especially true when sleeping pill drugs are taken in addition to other narcotics such as cocaine or heroin. However, for those with sleeping pill addiction and who are exposed to sleeping pill risks, there is hope. Effective treatment is possible, and after a withdrawal period of several weeks, the body can get clean and adapt to not having sleeping pills in its system anymore. Treatment can be very effective. If you have a problem with sleeping pill addiction and would like to receive more information about sleeping pill treatment centers, call our 24-hour hotline at (888)-459-5511 today to speak with a knowledgeable representative.